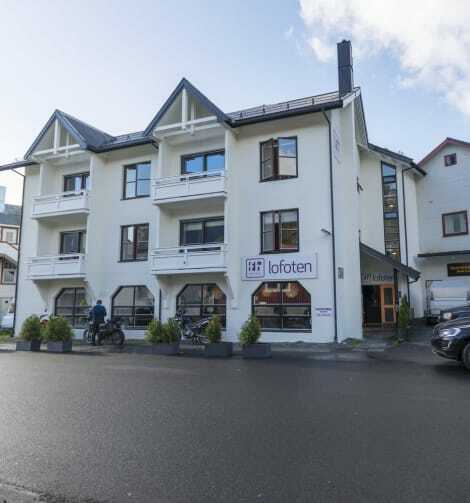 Situated in the idyllic town of Svolvær in the Lofoten Archipelago, Scandic Vestfjord Lofoten offers free WiFi and rooms with views of the Vest Fjord and the characteristic Svolværgeita Mountain. The property offers free parking on site. Breakfast is served in Scandic Vestfjord Lofoten’s restaurant, which overlooks Svolvær Harbour. The Hurtigruten Cruise Ship Terminal is 250 metres away. The shops and restaurants around Svolvær’s main square, Torget, are a 5-minute walk away. lastminute.com has a fantastic range of hotels in Svolvaer, with everything from cheap hotels to luxurious five star accommodation available. We like to live up to our last minute name so remember you can book any one of our excellent Svolvaer hotels up until midnight and stay the same night.